Amy was at an estate sale searching for vintage goodies to stock her shop Vintage Déjà Vu, when she spotted this 1957 Harrison pink steel kitchen — perfect to use as a display in her store. 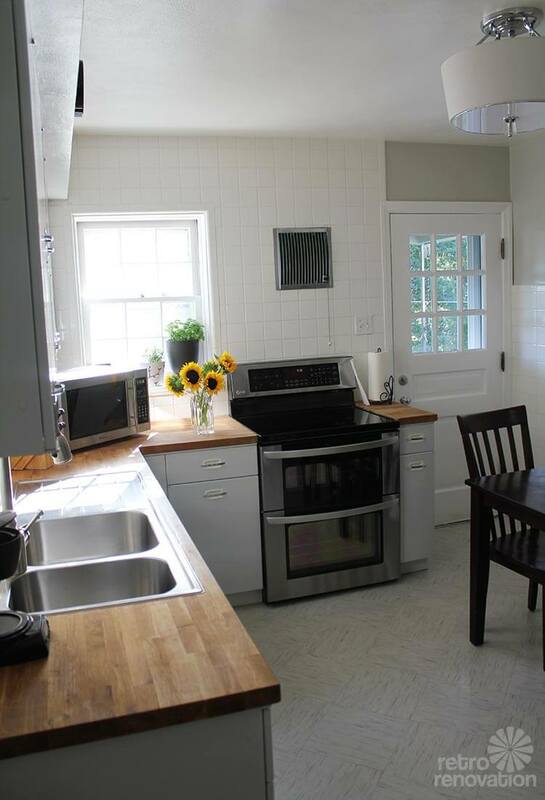 She expressed her interest in purchasing the kitchen and to her surprise, a day later she received a call from the homeowners agreeing to sell it to her — yet another story showing that it always pays to ask. I own a small vintage store that I just opened in February. 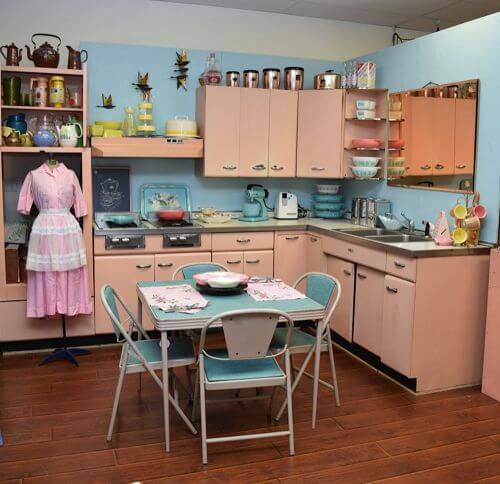 Just this week we installed a 1957 Harrison Pink metal kitchen as a display piece. I was told by a few people that I should contact Retro Renovation to see if you were interested in posting the story. I also hope that more people would see my story and learn to ask if these things are for sale at estate sales or leave notes to save the few that are left! 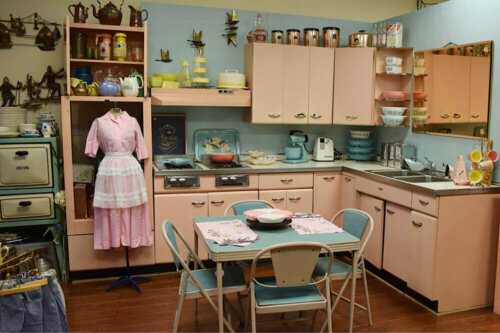 I was at an estate sale and noticed the pink kitchen, and it was love at first site! I took a chance and asked the people at the sale if it was for sale. They said they didnt think so, but they would pass along my number to the owners. A few days after the sale I got a call from the owners saying, YES, it was for sale just make us an offer! I made them an offer and picked up the kitchen. Sadly, I found out the house is more than likely going to be torn down, so it made me love this piece even more knowing that I saved it! It’s far from good condition, but perfect for a display piece to hold all my kitchen items. I would have put it in my condo if I didn’t live in a studio, but now I get to enjoy it every day at work! 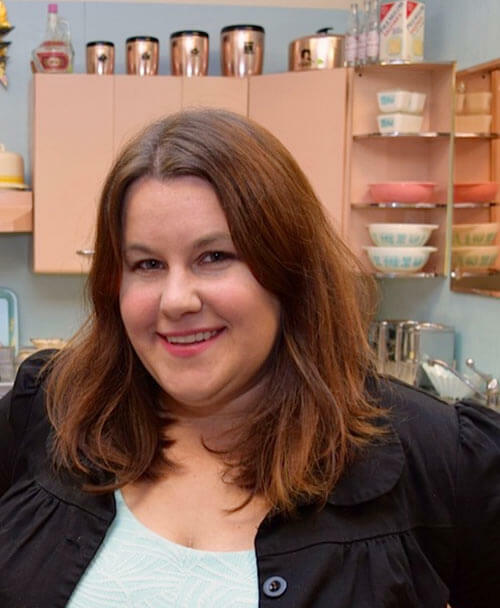 Mega thanks to Amy for sharing her story and photos with us — and thanks, too, to the readers who told her to contact us — woot! Not sure why, but pink kitchens don’t have the allure for me that pink bathrooms do. 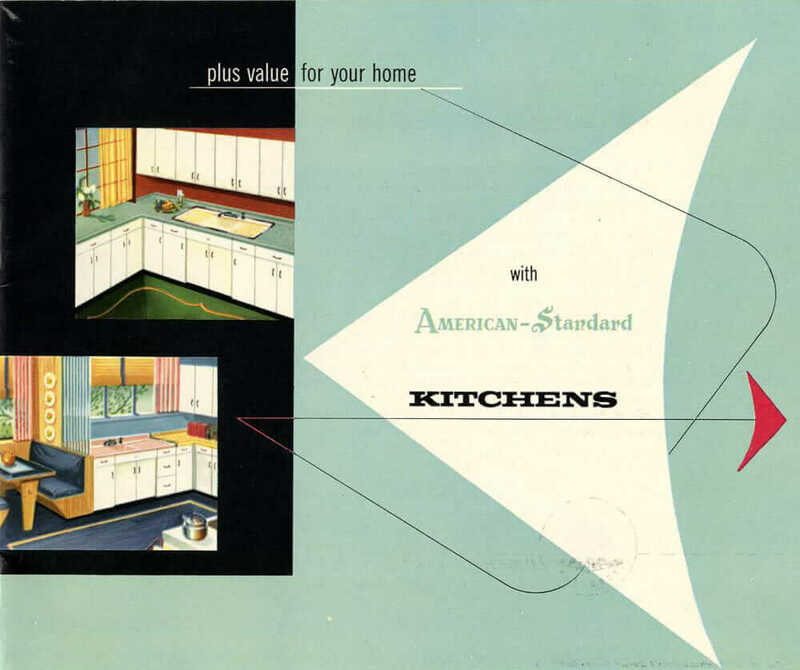 For some reason, when I think kitchen, I also think turquoise, aqua, or yellow. But that’s just Joe. That having been cleared up, I want the copper canisters, and all the yellow stuff! I have a (faux) copper backsplash behind the range, and my accent color is yellow. The main color is aqua. I would love to see pictures! I am a vintage kitchen nerd! Wow! This kitchen is beautiful and pink too! Love it! I have a yellow kitchen oven and matching sink. The cooktop and hood are gone. 🙁 The previous owners replaced those long ago. The pieces that are left could definitely be restored. Is there anyplace I can buy the hinges for these exact Harrison steel cabinets. Mine are white but otherwise identical to your picture of pink cabinets. Thanks! 0bviously not easy to find. Can certainly send photos if you can reply. 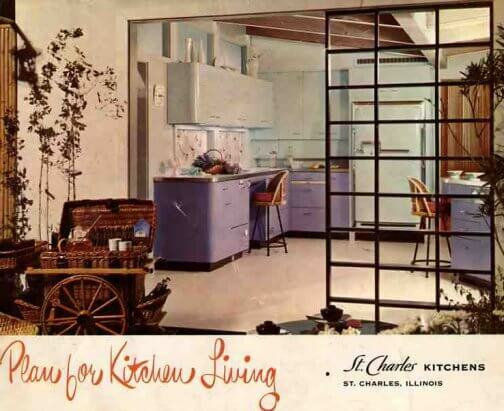 Hi Mike, with nearly 100 brands of vintage steel kitchen cabinets now identified — I don’t have research on hinges for each…. Last year I did a kitchen remodel and had a 1956 HE Wonder Kitchen in pink for sale. 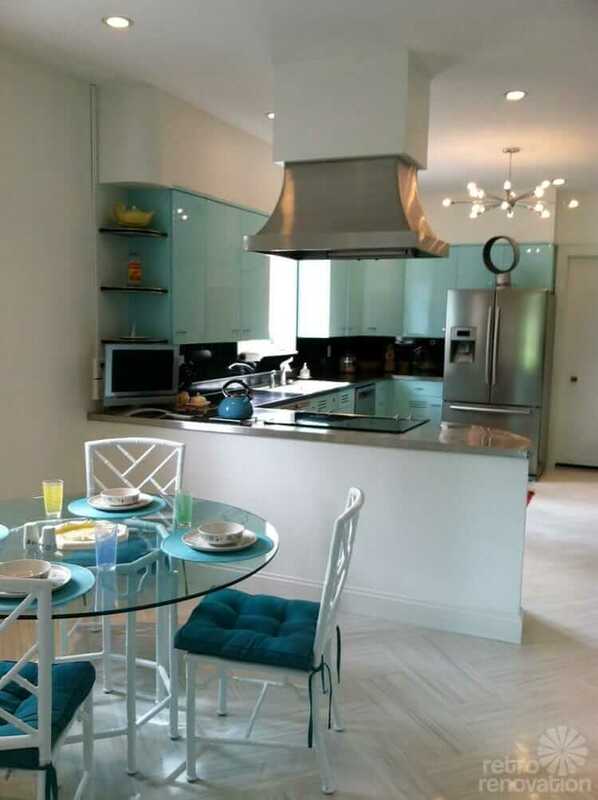 It was a little rough but all components there including the stainless steel countertop. No takers no interest so it went for scrap. Very sad.